"I'm underage - I'm only 16 - and I can't vote. So will you vote on my behalf?" When I was 10 years old I was constantly thirsty and hungry and sneaking snacks into my room, but even though I was always eating I lost 30 pounds. My parents didn't know what was wrong with me, but I was eventually diagnosed with diabetes. Thankfully, I had health insurance - but many of my loved ones don’t, like my mom. It’s scary when she’s sick and doesn’t go to the doctor because she knows she won’t be able to afford the bills. I feel passionately about universal healthcare for these reasons, but I’m too young to vote for candidates with my values. If you’re old enough to vote, I hope you’ll promise to vote on my behalf. Thank you! 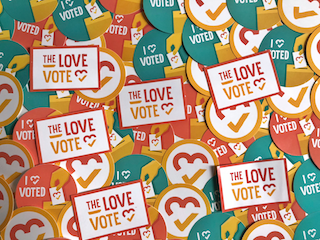 Show Madison love + inspire others + get voting info + get event invites + get stickers + create change!